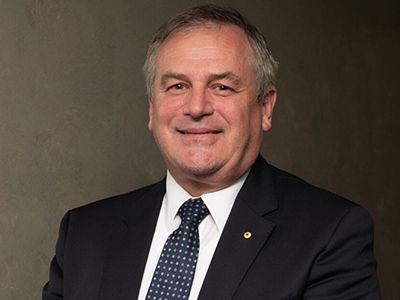 After seven years in the role, Chief Defence Scientist Dr Alex Zelinsky has announced he will be leaving Defence Science and Technology (DST) to take up the appointment of Vice Chancellor of the University of Newcastle. The Minister for Defence Industry, the Hon Christopher Pyne MP, extended his sincerest gratitude and thanks to Dr Zelinsky, who has led DST since March 2012. "Dr Zelinsky has transformed DST into a highly successful and valued enabler of Defence capability and the scientific lead for Australia's national security," Minister Pyne said. "During his tenure as Chief Defence Scientist, Dr Zelinsky has overseen the realignment of DST's research priorities to meet future Australian Defence Force requirements with the application of leading edge science and technology. "Under his leadership, DST has established long term bilateral research and development relationships with 11 Australian companies and 33 universities in areas of strategic significance to Defence. "Dr Zelinsky's leadership of the $730 million Next Generation Technologies Fund has led to new alliances being forged, and partnerships with Australian industry and academia strengthened. "The opportunities afforded by the Next Generation Technologies Fund are enormous for Defence as well as the Australian research and innovation sector in the foreseeable future." Dr Zelinsky was recently recognised for his leadership of DST when he was appointed an Officer of the Order of Australia in the 2017 Queen's Birthday honours. He has received numerous awards and has been included in Engineers Australia's list of the 100 most influential engineers since 2009. In 2015, Engineers Australia awarded Dr Zelinsky the prestigious MA Sargent Medal, while in 2013 he was awarded the ICT industry's premier prize for lifetime achievement - the Pearcey Medal. Minister Pyne said it was a pleasure working with Dr Zelinsky, and wished him every success in his new appointment.